Fashion Metric, a two-year-old startup that can provide a retailer with your body measurement by asking you less than a dozen questions, has raised a $1 million seed round led by Tahoma Ventures and plans to launch its service in February with three customers. Corsa Ventures, Elementum Ventures and several angels also participated in the round. The startup, which was formed in Los Angeles, but has since moved to Austin, Texas after participating in a Techstars class during the summer last year, had honed its technology by opening its own custom clothing store online during 2014. It saw negligible returns and realized that the inbound interest from online custom clothing companies and even large name-brand retailers was so huge, that it switched from trying to provide tailored clothing based on the algorithms and just decided to sell the algorithms on a software-as-a-service basis. The closest competitor might be True & Co. the online bra company that also asks users questions about their height, weight, how their bras fit and other information to then select the right bras for customers. It has built up a following and has started even offering custom-designed bras for the six types of breasts it has decided are out there. But it isn’t selling its data to Victoria’s Secret for example. An example of some of the questions Fashion Metric asks. Fashion Metric might. Daina and Morgan Linton, the wife and husband founders of the company plan to start slowly, letting three customers in every few weeks and making sure they are fully supported before adding more. Daina Linton, the company’s CEO, has a background in both data modeling and tailoring, so she built the algorithms that helped refine the math that led to the exact body measurements based on the questions the site asks. Morgan Linton, the company’s co-founder and COO, says the technology isn’t just applicable for online ordering and reducing returns from e-commerce. It can also help retailers with inventory management and sales staff on the floor with customer fittings. As a customer who buys online, and who has seen the scourge of vanity sizing change my size in ready-to-wear clothing from an 8 to a 4 or a 10 depending on the brand, I’d love anything that means I don’t have to bring half a dozen pairs of pants to the dressing room. And I’m sure all the retailers I buy multiple shirts from online to find the right size would love to ship me the correct size instead of three of each item knowing they’ll get two of them back. With online return rates hovering as high as 30 percent, I’m not the only guilty party. Fashion Metric’s technology could help substantially with issues of fit, although issues of guilt or second-guessing that color against your skin will still happen. Fashion Metric has managed to build its technology and get to this point with five people and about $400,000 in funding. With this new round it hopes to add two more people and start supporting those big name brands. It will start with custom clothiers who want to sell online and then it will gradually serve larger retailers. 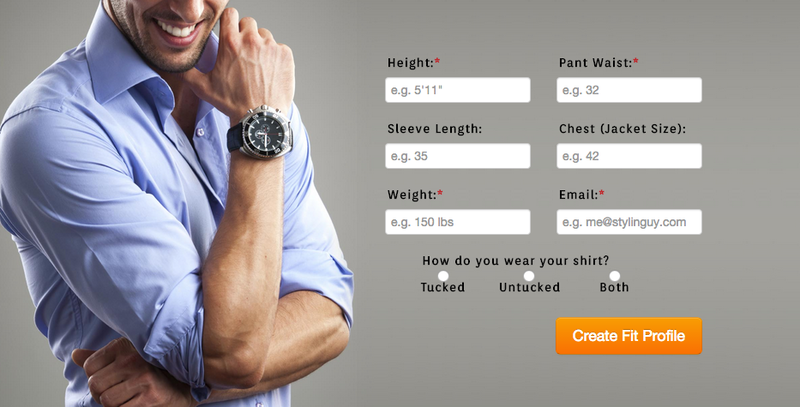 Lots of companies in the online tailoring market…indochino, makeyourownjeans, suitly, etc. Any one of these could turn around and offer their suggestions to retailers, but I suppose they haven’t. TrueFit would be a more accurate competitor….and TrueFit IS actually providing fit suggestions based on algorithms. body measurement by asking you less than a dozen questions is algorithmic tailoring?